From an elongated spider chair to a milky-veined astral table, celebrated Franco-Italian designer Marc Ange is returning to Milan Design Week with a dreamy bang. On April 8, 2019 he will unveil An Extraordinary World at Palazzo Cusani, a 17th-century palace in the Brera Design District. It will feature a “sensory bar” and an outdoor court created in collaboration with St-Germain liquor, where he puts his imaginative spin on the elderflower used in the brand’s iconic spirits. Ange was born in Rome but raised in Paris. 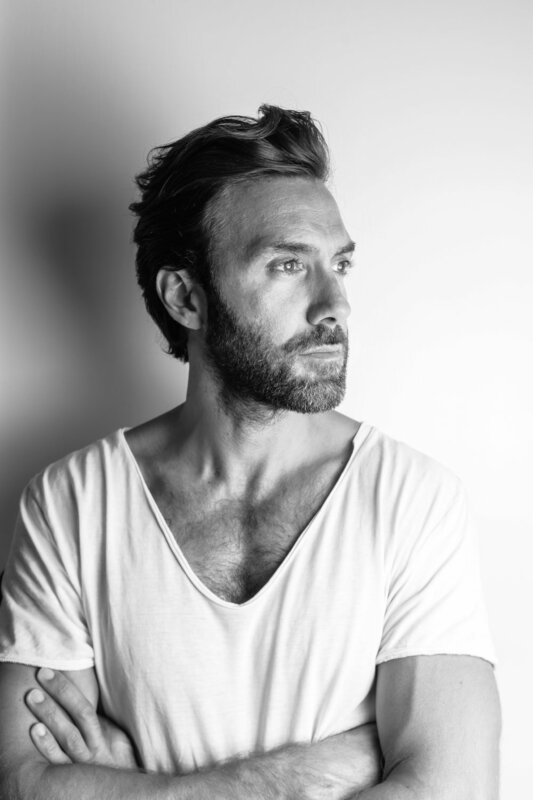 He opened design studio Bloom Room in 2008, which has worked with Jean Paul Gaultier, Prada, Louis Vuitton, Ferrari and Moet et Chandon. In 2016 he extended Bloom Room to Los Angeles, where he is developing concepts for private homes. 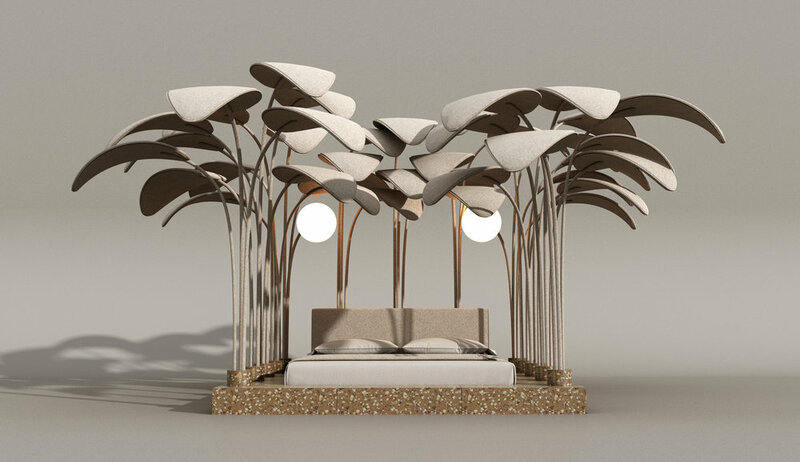 At this year’s Milan Design Week, Ange takes over a series of connected halls with unique furniture and breathes new life into a crowd favorite called Le Refuge. That piece was a sensation at the 2017 iteration of Milan Design Week. It won the Wallpaper* Magazine design award and became the most Instagrammed Piece of the gathering. It’s been brought back to life as Le Refuge de La Nuit, cloaked in a Terrazzo base and textured with Dedar fabric.